The Defence Housing Authority Lahore?s vision is to provide quality homes for the people of Pakistan, and to create a benchmark for property development in the country. In the vibrant, cosmopolitan city of Lahore, there is a demand for luxurious homes that cater to the every need of its elite. These are people who demand and deserve the best, and DHA Lahore is committed to meeting their needs. To do this, it has forged a partnership with Bandar Raya Developments Berhad (BRDB), a Malaysian developer with a strong track record for creating luxurious, high quality homes in neighborhoods of enduring value. 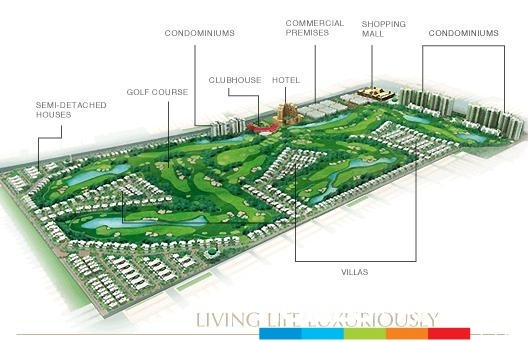 Defence Raya Golf Resort is the result of a partnership between DHA Lahore and BRDB Malaysia. These two formidable brands have come together to create the first integrated township in the heart of Lahore. 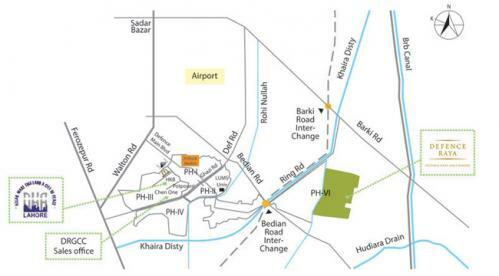 The township is Pakistan?s first golf resort and housing community and is situated in Phase 6 of DHA Lahore. Built around the lush greens of an 18-hole international-standard golf course, the entire township spans 400 acres of beautifully landscaped luxury homes, a prestigious golf and country club, a retail centre designed to meet every lifestyle need as well as high-end business premises. 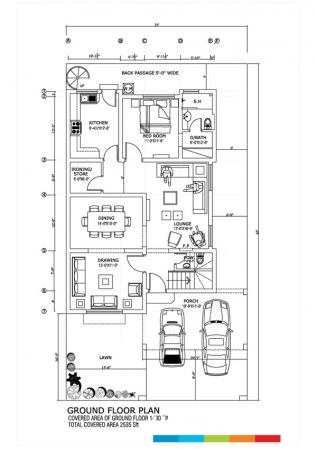 A generously proportioned house, this 2 ? storey Type A home offers an impressively wide driveway, framing its beautifully crafted fa硤e, and space for 3 cars parked side-by-side. At 9,100 sq ft, this 6-bedroom home is ideal for the extended or multi-generational family living under one roof, offering everyone their own room with en-suite bathroom, and 2 sets of living and dining areas. The living and dining area on the lower ground floor is particularly stunning, with its wraparound terrace that embraces the breathtaking views of the international standard golf course. Perfect for parties and outdoor entertaining. Two work areas and a study allow family members to live and work at home, while balconies on the ground and first floors allow for more private appreciation of the views, especially impressive at dusk. Wet and dry kitchens and ample servants? quarters ensure the family?s needs are well-met. The impressive driveway leads to a car porch wide enough for two cars parked side-by-side. Enter the ground floor into a hall that separates visitors from the more private family room and dining hall, and the 2 bedrooms on this floor. Adjacent wet and dry kitchens provide easy access for family meals. Move downstairs into the lower ground floor, to the wide-open living and dining area, perfect for entertaining friends and family. The Type A homes offer stunning, sweeping views of the lush, green golf course from the living and dining rooms whereas in the Type A1 homes, the lower ground floors offer more intimate spaces that look out into a peaceful courtyard, perfect for more private entertaining. 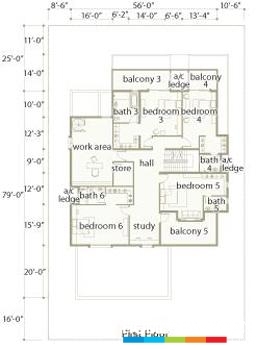 3 spacious bedrooms and a study complete the top floor, along with a family room ideal for quieter family time. All 5 bedrooms come with en-suite bathrooms, and luxurious, high quality fittings. The 3,860 sq ft semi-detached houses offer homeowners a modern take on resort-living, with more intimate homes suited for younger families. A two-bay car park fl anked by a generous front garden welcomes the resident, with the two-storey fa硤e offering strong aesthetic appeal. Inside, the ground floor is very much focused on family needs, with family and dining rooms, as well as 2 bedrooms and a generously proportioned kitchen. Unlike most homes that offer lower ground space, the lower ground level in the semi-detached homes at Defence Raya are open wide to the views, allowing residents to decide how best to use the room to meet their needs. Create a quiet intimate family game room, a private home offi ce, or a stunning entertainment area to welcome family and friends ? the choice is yours. The focal point of the first floor is the family room with its adjacent balcony, overlooking the undulating fairways of the golf course. 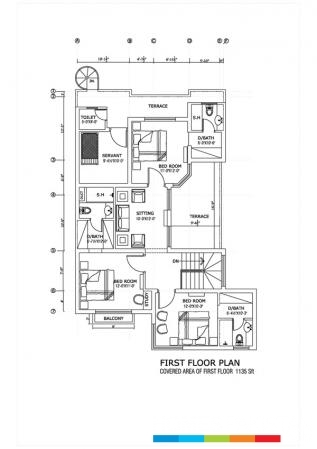 The 2 bedrooms on this floor are large and airy, with ample wardrobe space. 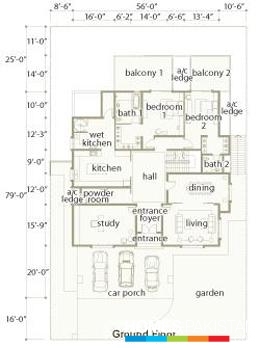 All 4 bedrooms come with en-suite bathrooms and high quality fittings. The newest product available for sale is the twin-tower luxury condominiums named, the Concordia. These elegantly appointed deluxe condominiums will usher a new life style trend in Pakistan. With incomparable views of the golf course on one side, and panoramic vision of the city on the other, these condominiums are peerless in style, standard and security. 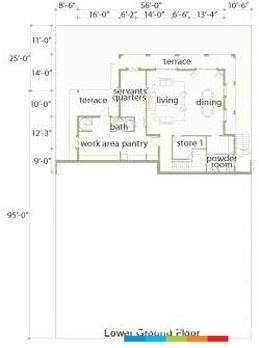 Concordia offers 2 and 3 bedroom apartments with attached servant quarters. The price of units very according to their views & location with the building. The condominiums rise until the 19th floor, beyond which there is a single king sized penthouse crowing the tower with a total area of nearly 10,500 sq ft. 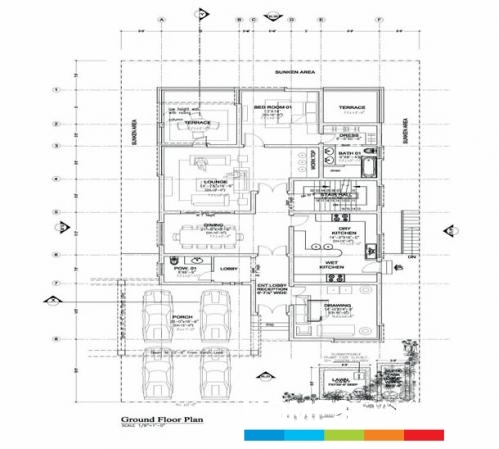 The layout of every unit has been undertaken with impeccable planning and rigorous attention to detail. Most master bedrooms are living rooms will enjoy vistas of the golf course. Each apartment is beautifully appointed with quality finishes and fixtures, and fully wired for modern life. Details of the individual units are only half of the story, because living in a condominium is a special lifestyle in its own. 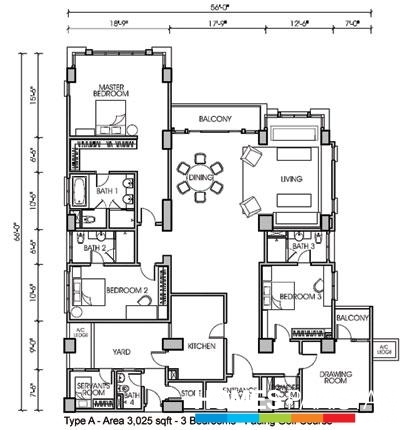 Each tower has floors of amenities and exclusive privileges that most people can only dream of. To start with there are separate indoors swimming pools for men women, separate gymnasiums, saunas and player rooms. There is the facility of children nursery / day-care centre along with kids play ground. A multi ?purpose hall is available to be used for holding functions and ceremonies by residents and where are game rooms for recreation. Since many people have drivers, we have created a comfortable waiting area for the drivers with public wash rooms fro men and women. In addition to all these in the facility of a public laundry room, a caounge overlooking the golf course where you can relax and enjoy some quality time and a convenience store within the building to make life easy for you. Security is of paramount importance to people in this day and age, and the Concordia offers multiple levels of security to its residents. The condominium tower has a network of security cameras with CCTV which are continuously monitored. The lifts are also equipped with security cameras and entrance to these elevators is by a security card only. There is an intercom system between each unit and the security guard house, and there will be 24 hours guards available to ensure peace of mind for the residents. The Plaza is a vital part of our commercial offerings. 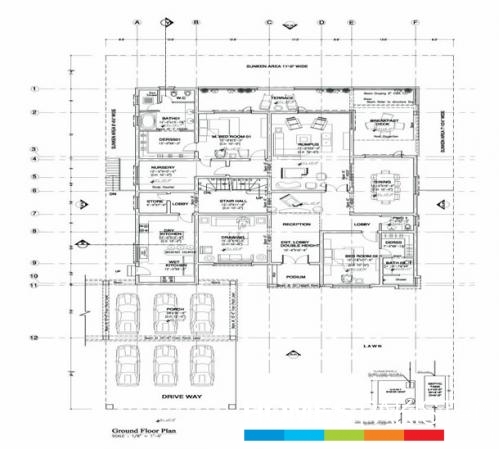 The Plaza offers 3 storey individual plazas with full basements, with covered areas ranging from 6,210 sq ft to 8,120 sq ft. Built to exacting standards with untiring details, these shop/offices area ready for any challenge of today?s consumers and shop owners. 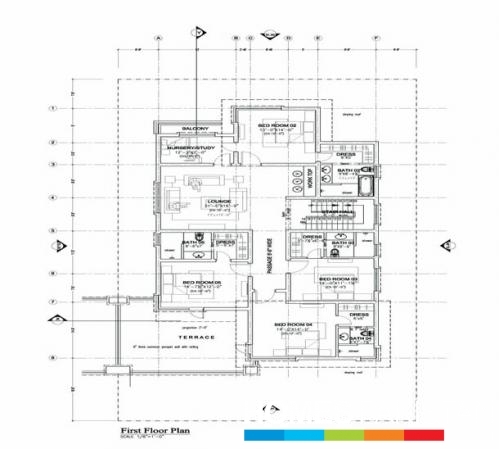 The structure is built to be energy efficient and maximizes the use of covered area, giving owners most for their money. Plenty of parking space is planned all around the commercial area ensuring that traffic congestion never becomes a problem. Internally, The Plaza features generous space to cater for comfort, utility and expansion. 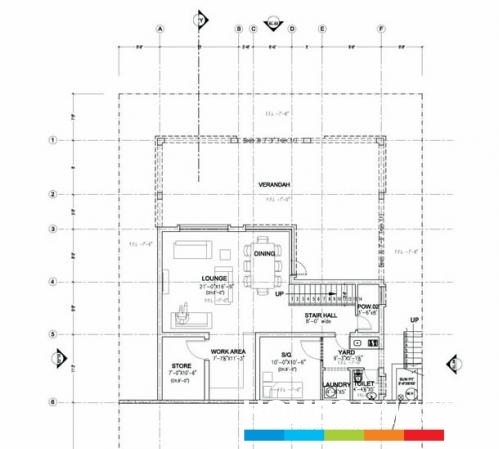 Usable space is fully maximized for functionality to ensure that investors enjoy maximum rental, user convenience and value. Each floor measures approximately 70 ft by 24 ft, about the largest in area per level you will ever find for an investment of this nature in Pakistan. Each 3-storeyed shop-office opens up to a rooftop terrace overlooking the lolling greens of the golf course. The potential this inspiring space promotes is enormous for enhancing business, productivity, creativity and lifestyle. Intelligent infrastructure fully supports the tenant that anchors at The Plaza. Amenities are designed to provide an efficient operating environment for businesses such as designer boutiques, cafes, restaurants, banks, offices, supermarkets, convenience stores and the like. The Defence Raya Golf & Country Club is a luxurious, private club for those who demand and deserve the best. Admission to this prestigious club is by invitation only, and limited to the privileged few. Enjoying a round of golf on the world-class golf course is just one of the many membership privileges. You can also entertain your family and friends in its exclusive restaurants and enjoy its many facilities like: squash courts, games room, function rooms, gymnasiums, saunas, lodging facilities, heated male female pools and more. The golf course at Defence Raya promises to be a golfer?s dream. All the holes have elevation change, in some places up to 20 feet. Lakes come into play on ten holes. Feature holes on the front nine include the well-bunkered fairway on the 5th hole, the difficult 7th hole with its elevated tee and the long, tough 9th hole with water guarding the entire right side. On the back nine, holes that stand out are the downhill 14th hole, with its challenging drive and the birdie chance on the 16th hole. 43377 people have viewed this development.